Eggnog is such a classic part of the American holiday tradition that even President George Washington had a nog recipe of his very own. 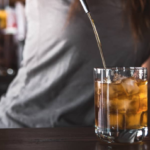 His recipe was pretty dang heavy on the alcohol, too: 1/2 pint of whiskey, 1/2 pint of rum and 1/4 pint of sherry — those Founding Fathers sure knew how to party! Now, clever cooks are combining this festive libation with the deliciousness of chocolate in order to create eggnog fudge. What a perfectly decadent way to celebrate the season! 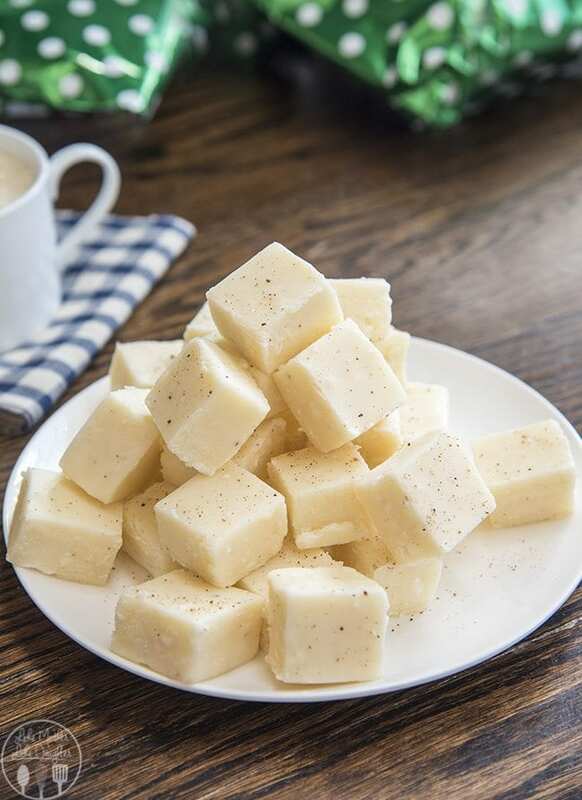 The best part of all is that eggnog fudge is easy to make, yet it seems so elegant and impressive. That makes it perfect for all those holiday parties and potlucks you were invited to this year. After all, do you really want to get stuck making the same sugar cookies again? 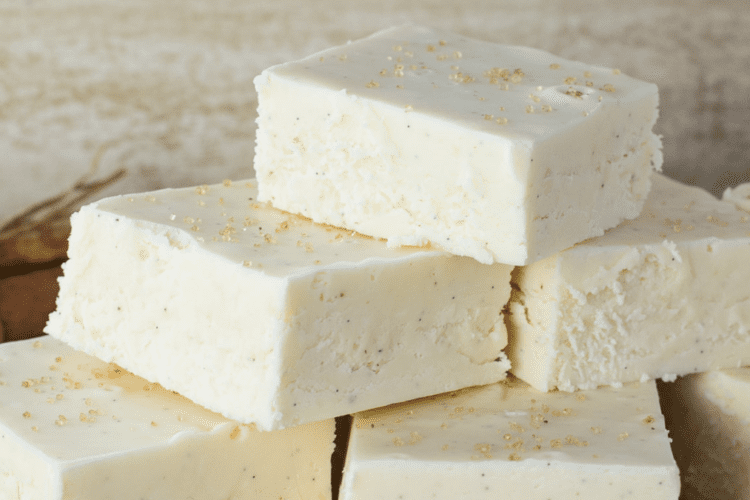 Eggnog fudge makes a beautiful holiday gift, too. Simply place it in a festive tin (like these on Amazon, which come in a 6-pack for just $9.99), tie it all up with a holiday ribbon and voila! A thoughtful and tasty gift for everyone from teachers to your neighbors and coworkers. So how do you make eggnog fudge? There are many possible variations. Over at Like Mother, Like Daughter, Aimee uses marshmallow creme and white chocolate for her base, along with a sprinkling of ground nutmeg. 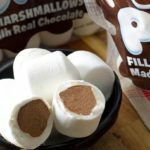 Lauren at Art and The Kitchen also uses white chocolate and marshmallow creme, but she takes things to the next level by using real vanilla bean pods rather than vanilla extract. 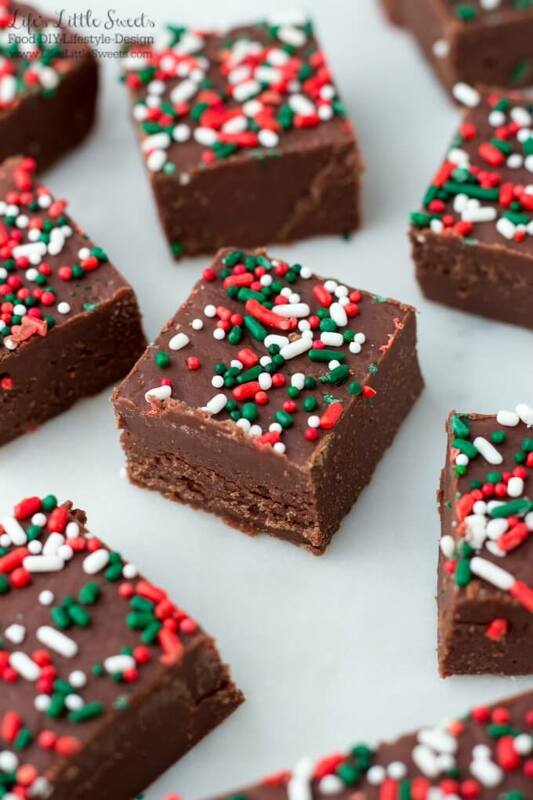 And Brown-Eyed Baker uses rum extract in her fudge to really give it that classic eggnog flavor. 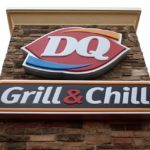 Not a fan of white chocolate? Don’t worry. There are eggnog fudge recipes that use milk chocolate as a base. 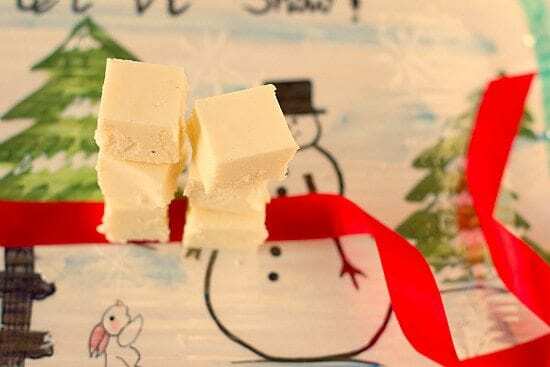 Sara at Life’s Little Sweets makes her eggnog fudge with mini marshmallows, semi-sweet chocolate chips — and she even sprinkles some holiday-colored jimmies on top! 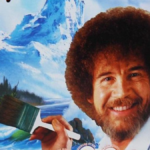 Are you excited for eggnog season?